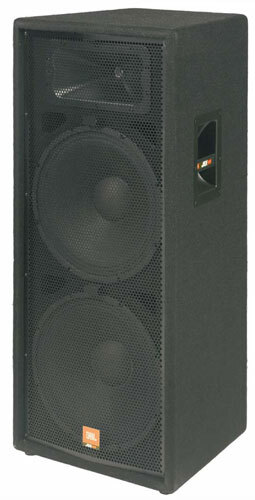 This dual 15" 2-way speaker is a portable, dual fifteen-inch, two-way speaker system designed specifically for applications in live music performance and music playback.The dual fifteen configuration is especially useful for applications in which additional low-frequency power and extension is needed but adding a subwoofer to the system is not practical. A "quasi three-way" network design contributes to improved performance in the critical mid-range. Input Connectors: Neutrik® Speakon® NL-4 (x1); ¼" TS phone jack (x1); parallel. 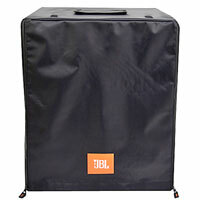 Enclosure Construction: 19 mm (¾ in) MDF (Medium Density Fiberboard); with glued and mechanically fastened joint detail; covered in black carpet.